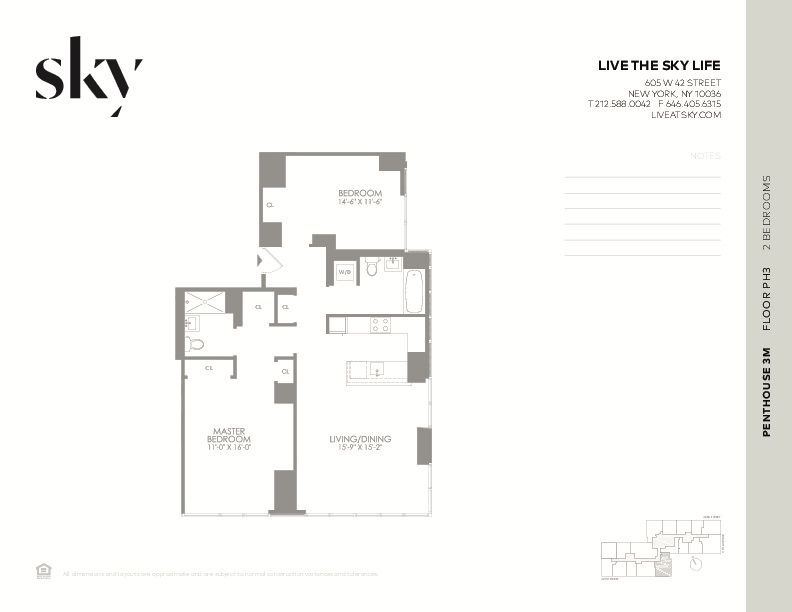 Location, style, luxury, this beautiful building has it all. 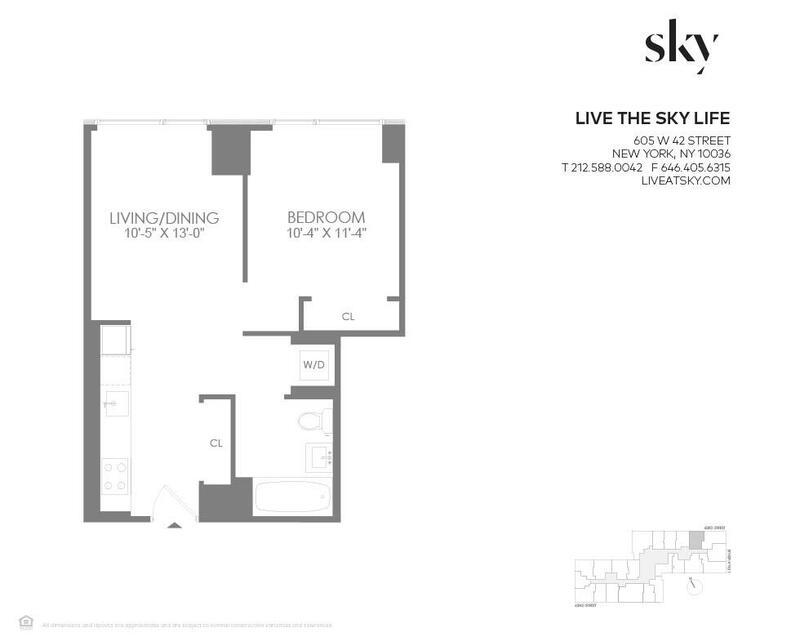 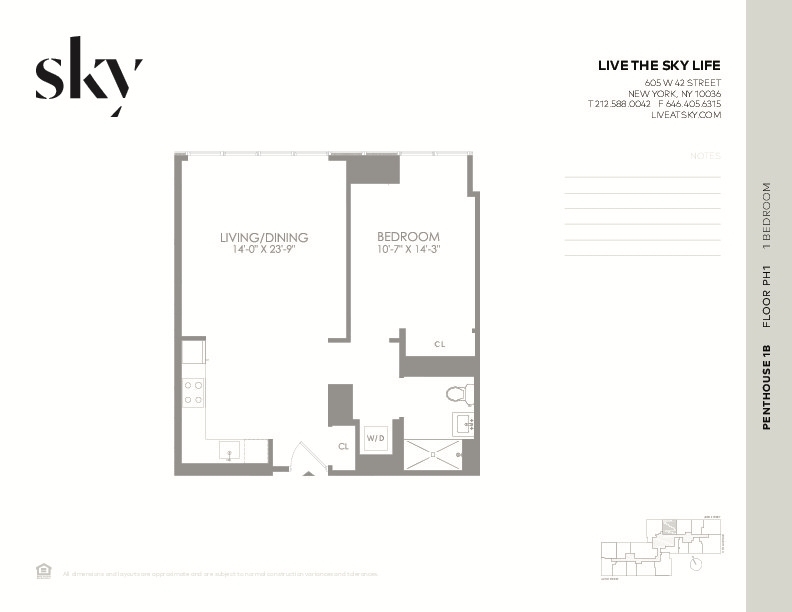 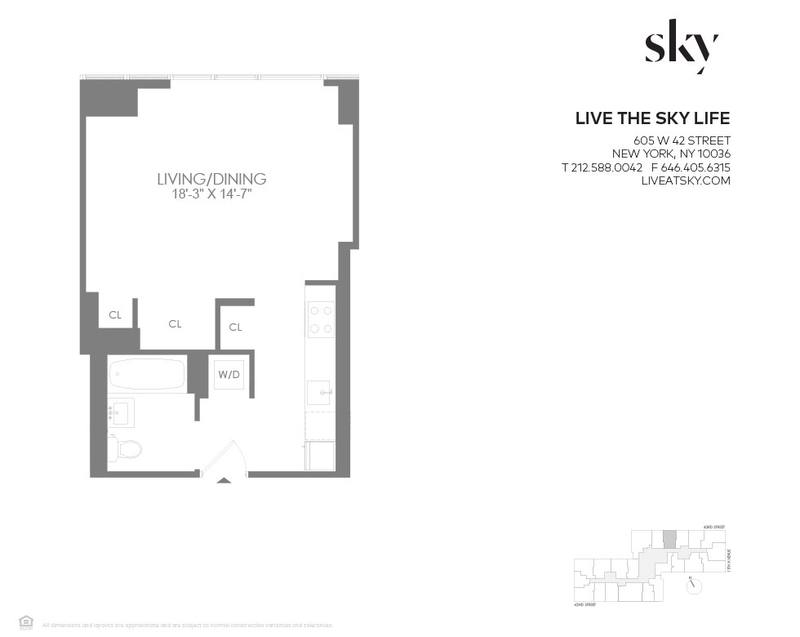 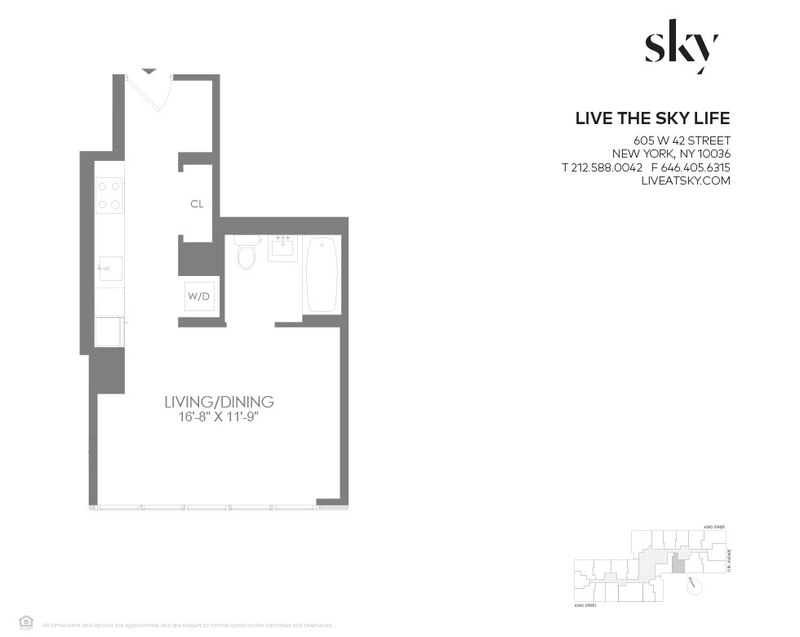 Located where Hell's Kitchen meets Hudson Yards, Sky is just a short walk from some of the best restaurants, theater, art galleries and attractions in all of NYC. 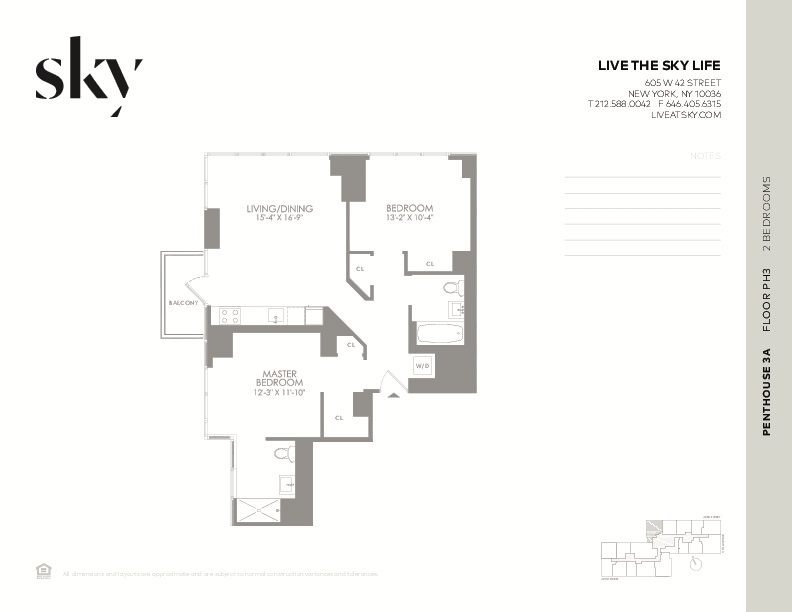 From the second you walk into the building, it's clear that Sky is in a class all of its own, with a stunning marble-clad lobby and custom paintings throughout. 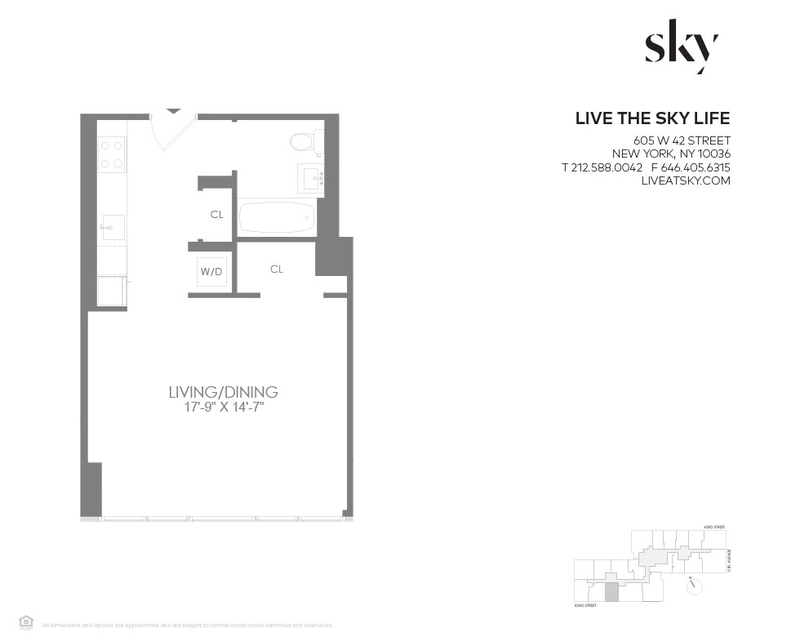 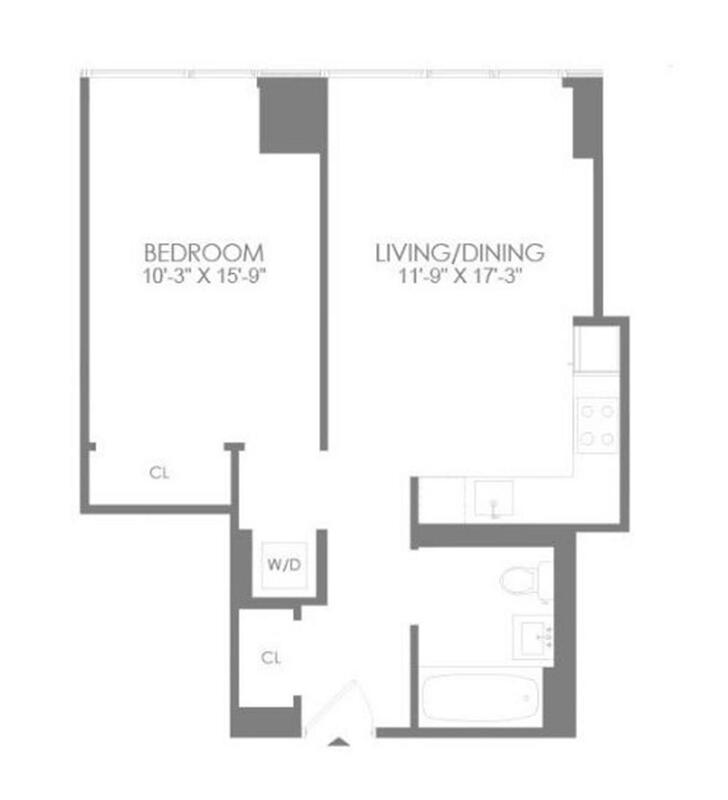 Inside the apartments, you'll find oversized windows that provide stunning skyline and harbor views, Italian-crafted kitchens, European appliances, quartz countertops and many other elegant features. 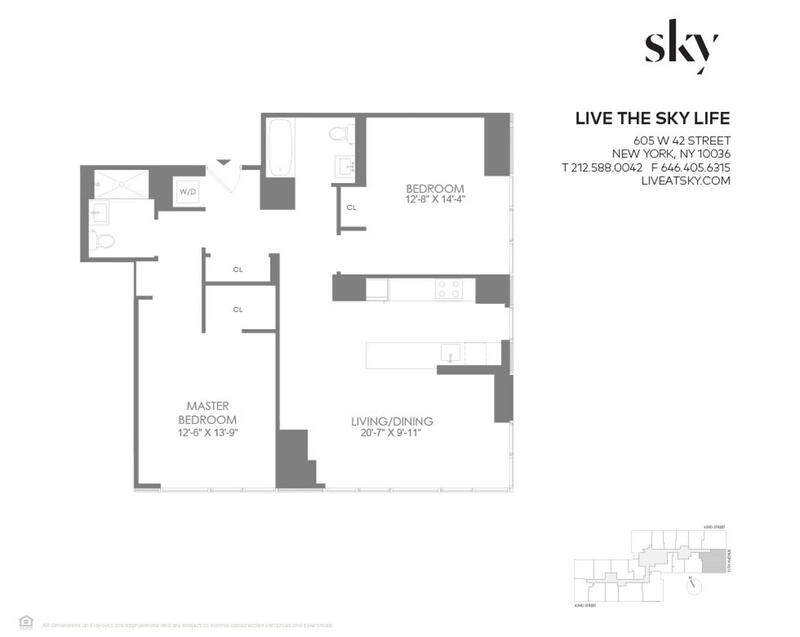 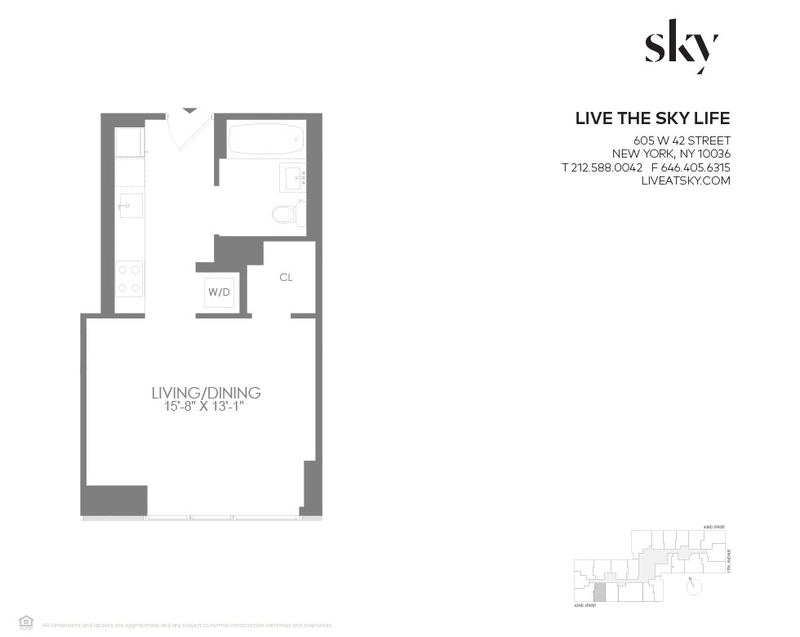 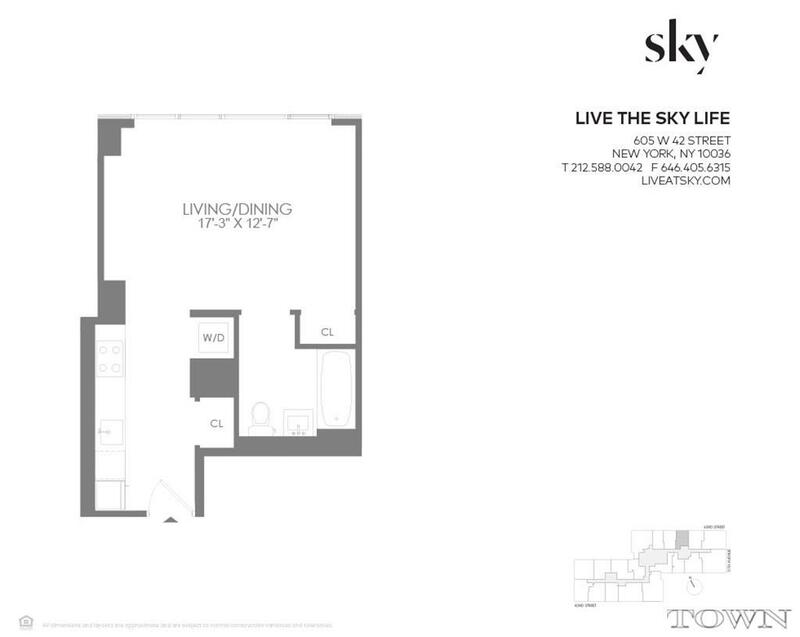 The amenities at Sky are truly like no other, including Lifetime Atlantic at Sky, a fitness program staffed by certified fitness professionals to help all residents meet their personal wellness goals. 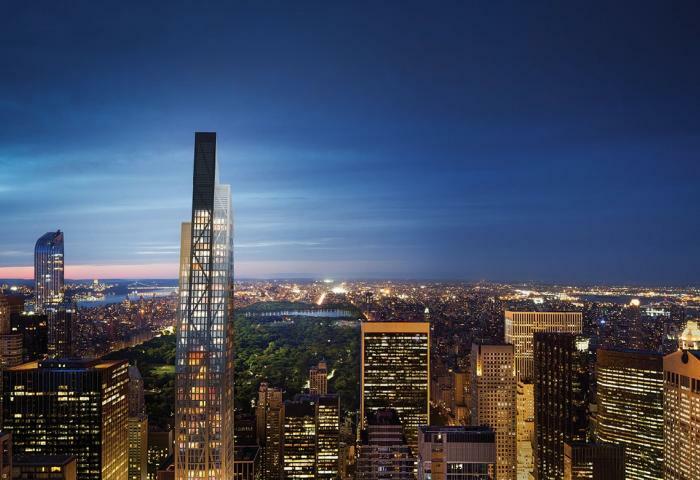 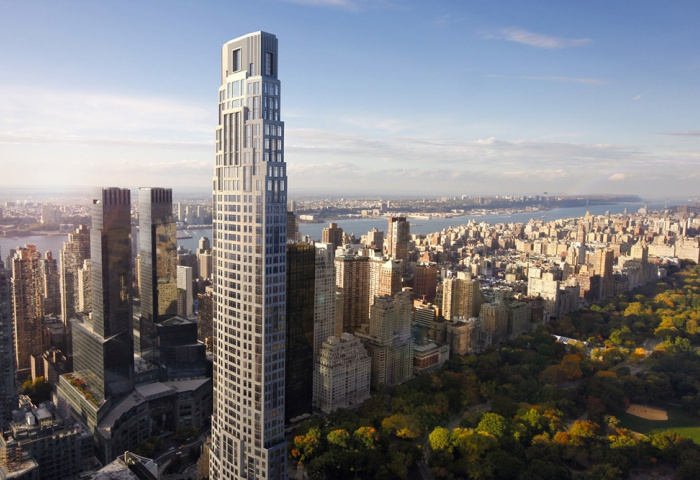 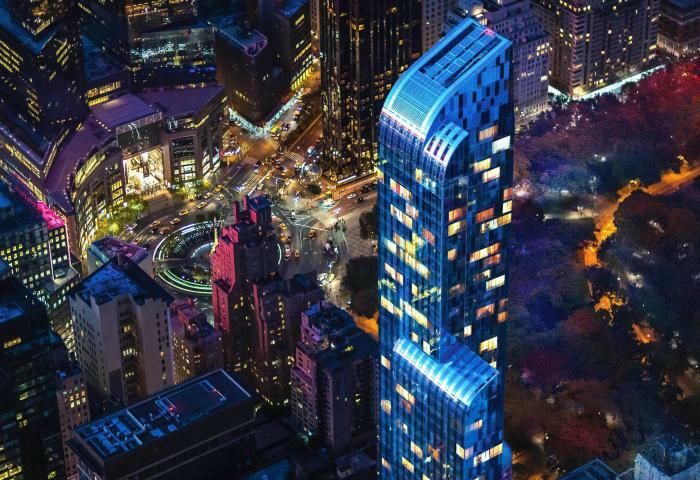 There is also a sky deck with two pools, private park, 15,000 square feet of fitness space, a full-service spa, full-time doorman, valet services, car park, canine club and so much more.